These are the highlights of the winning speeches from the Experienced and New Massage Therapist Categories. On July 7, 2017, the very first ever Speech Competition for Massage Therapists was organized and held at ACTION Chikara Project Studio, Quezon City. 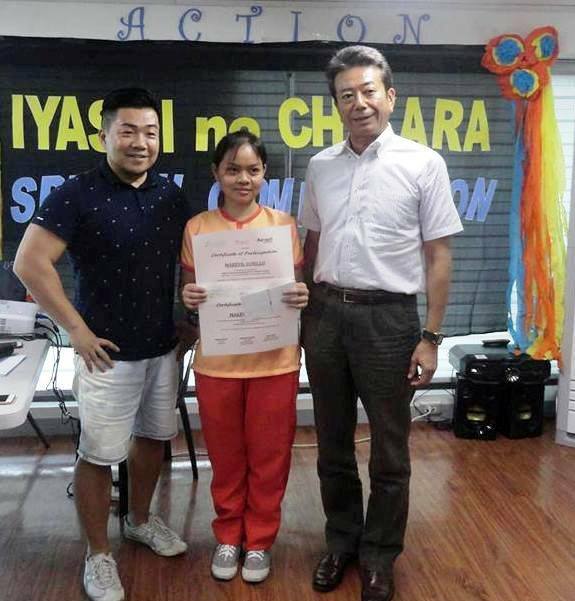 This competition was organized by ACTION in collaboration with Mont Albo Massage Hut and in partnership with the Association of Japan Relaxation Industry (AJRI) to select two best contestants who will represent the Philippines in the 4th Annual Speech Competition for Massage Therapists in Japan on October 27, 2017 as guest speech performers. The speech competition had two categories: 1. ExperiencedTherapist, and 2. New Massage Therapist. 6 contestants from ACTION Inc. competed in the New Massage Therapist Category and 3 contestants from Mont Albo Massage Hut competed in the Experienced Therapist Category. They were expected to share how life changing massage therapy is. The Competition started with an opening remark and warm welcome from Hajime Yokota, Founder and Executive Director of ACTION Inc. 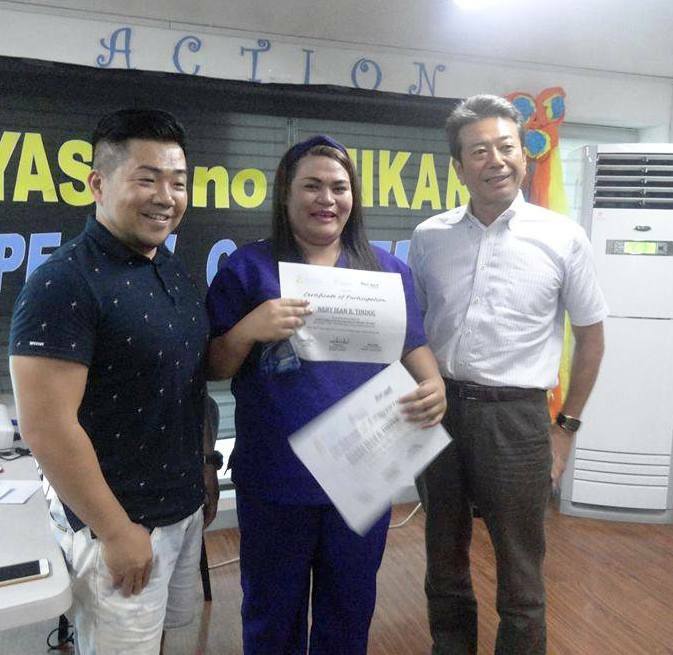 He shared that it is the first ever Speech Competition for Massage Therapists organized by ACTION, Inc.
After which the board of judges were introduced: Dr. Nol Montalbo – CEO of Mont Albo Massage Hut, Ms. Miho Ueda– Project Coordinator of REJOB, Mr. Hidefumi Schimizu– Chairman of AJRI, and the three Board of Trustees of AJRI: Mr. Akira Suzuki, Mr. Koji Eguchi and Ms. Kanae Rin. During the contest proper, the competitors readily expressed their speeches on how massage therapy changed their life as a person along with their economic situation. Some were a bit shy and some were very confident. Ms. Nery Jean R. Tindoc, from Batch 3 of Massage Training in Manila was declared winner for the New Massage Therapist Category. Ms. Marevil Gorillo, on the other hand won in the Experienced Therapist Category. 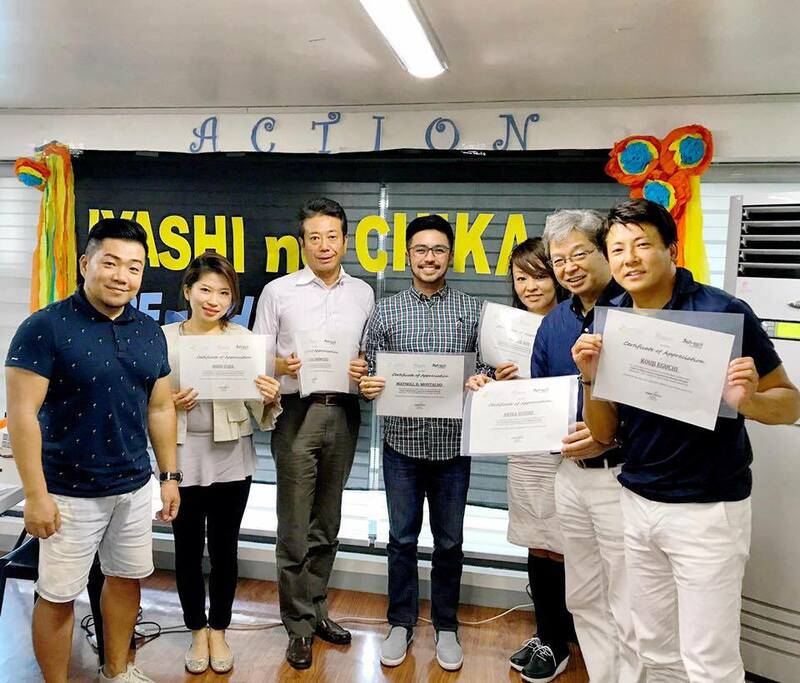 As grand prize, the two winners were given the opportunity to travel to Tokyo, Japan, and share their stories in the 4th Annual Speech Competition for Massage Therapists, all expense paid, aside from cash gift from AJRI. Cash consolation prizes were also given to the 2nd placers. Meanwhile, all the participants were given a bottle of special massage oil from Body Worx. After being declared as champions, Ms. Tindoc and Ms. Gorillo shared their messages. They were so happy and grateful that they were given the chance to share their life stories and of course, the unexpected opportunity to travel to Japan for free. To formally end the program, Dr. Nol Montalbo delivered a message of encouragement thru sharing how he started his business with a very limited capital. He inspired all the Massage Therapists to dream big. According to him, he was and still is guided by the Japanese Proverb: Fall seven times, stand up eight. No matter how hard life could be, one should never ever surrender. Dr. Montalbo also shared that he would like to organize a Spa Association here in the Philippines, just like the Association of Japan Relaxation Industry. He disclosed that there had been previous Spa Associations organized, too, in fact, but these were dissolved due to limited support from the government. Nevertheless, the young CEO believes that someday, Spa Industry in the Philippines will be organized, and will get enough support from the government agencies. He also dreams that Spas would be recognized not just a viable field of business but as an essential service for health and wellness. Lastly, he thanked Hajime Yokota for his support to the Spa Industry in the Philippines.